July 2018, Guizhou, China – KLCII, our teacher training subsidiary, has been gaining international recognition as a leading preschool teacher training institution in Asia. 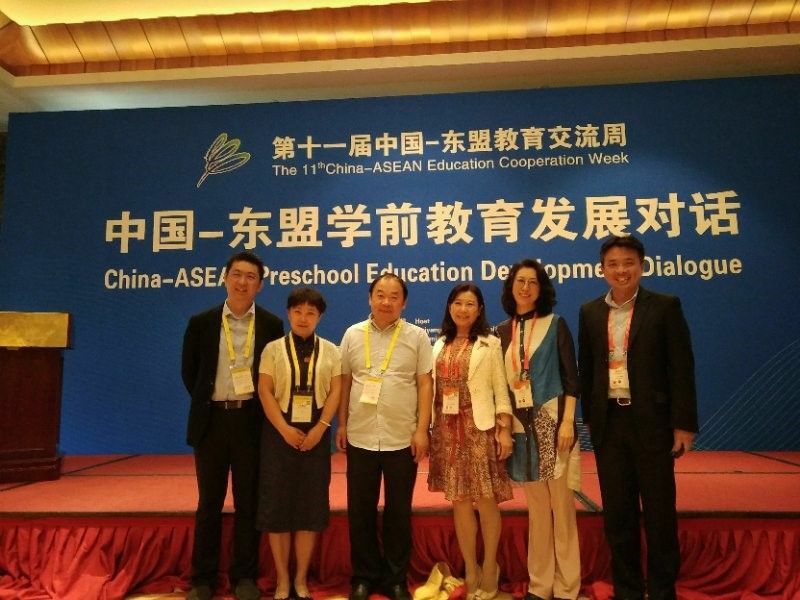 KLCII Vice Principal, Dr Chen Shi, was invited to represent Singapore to speak at the China-ASEAN Preschool Education Development Dialogue, under the One Belt One Road Initiative. Billed with the theme “New Era, New Preschool Education, New Course”, the event was designed to contribute to the development and internationalisation of preschool education in China and Guizhou Province, and to give full play to the cooperation between China and ASEAN countries in the exchange of preschool education. The three-day event took place between was attended by over 130 early childhood experts and industry specialists from Southeast Asia and Australia. The event was also attended by Singapore’s Second Minister for Education, Ms Indranee Thurai Rajah.